That’s what most of our girl pals will tell us. But the reality is we can royally hurt our marriage. 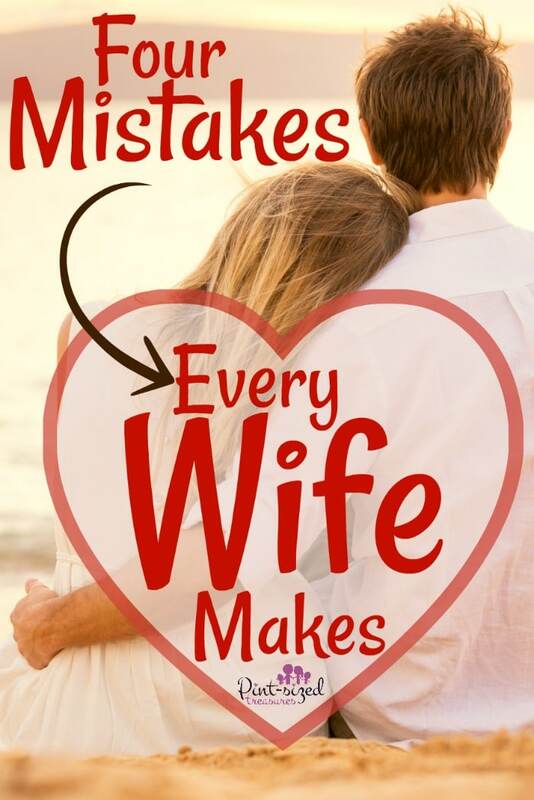 In over 17 years of doing ministry work (Sunday school classes, overseeing ladies ministries and even foreign missionary work) I’ve seen wives make these four mistakes over and over. These mistakes can drastically damage a marriage. Even shatter it into a hundred pieces that are extremely difficult to sweep up and glue back together. Just yesterday a woman in our foreign mission work spoke to me about some marriage issues she was having. 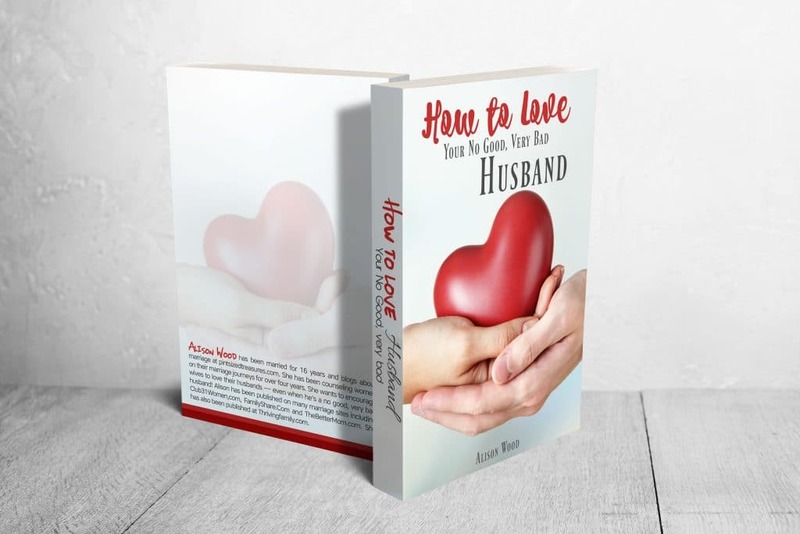 Even though she was trying to relay that her husband was doing everything wrong, and even suggested divorce, I immediately noticed she had made these very common marriage mistakes. And in a very short period of time. But she didn’t view them as mistakes. They were fueling the marriage tension. After listening to her story, I immediately admitted that we wives have common tendencies that smother the root of love, forgiveness and reconciliation. For that reason we should absolutely avoid them. Even though our minds and emotions tell us to do them, we have to let truth and facts guide us instead. 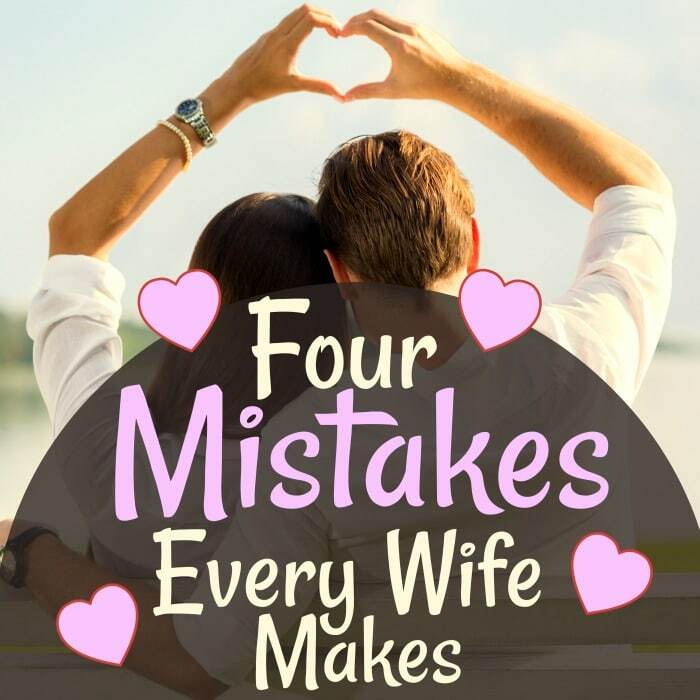 What are the four mistakes every wife makes? Let’s dig in and honestly chat about them. We pout. Maybe it was cute to pout when we were two years old, but it’s not cute anymore. Many of the romantic movies we watch (Hallmark fan right here!) relay the idea that men respond to pouting. And we get what we want if we just pout. But real life doesn’t work like that. Our husbands don’t think pouting is cute. In fact, they deplore it. Review over the past few years of your marriage. Has pouting ever helped your marriage grow deeper, more intimate, more loving? What has pouting accomplished? Frustration in your husband? Did he want more time to himself after you pouted? Husbands want a wife who is warm, affectionate, loving and not quickly offended. And if you’re a Christian, it helps to remember that God’s will for every Christian is that they die to themselves daily. They put God first, others second and themselves last. We should do that in all of our relationships. It’s then — and only then — that we’ll see them thrive. We assume the worst. My email notifications went off the other day and it was yet another wife concerned that her husband was on the verge of being unfaithful. Another woman had been extra friendly ot him at church and she was growing angry. But she really didn’t have any proof that her husband had done anything wrong. Still, she was becoming suspicious. Men are bombarded daily with with women exposing their bodies in commercials, billboards etc. These women always have a seductive air to them and can make the rest of us feel unattractive and boring. They never show them battling sickness, juggling a house full of young children or staying up all night with two puking toddlers. Nope. Because real life rarely sells! They portray themselves as always being focused on men and their intimate needs. There’s no question why many married women feel threatened. And there’s nothing we can do about those women and how the media portrays them with perfect make-up, perfect bodies and perfect hair. But that doesn’t mean our husband is always looking at them and lusting. It doesn’t mean that our husband is looking for opportunities to meet up with other women. It doesn’t mean that our husband isn’t faithful to us. But our natural tendency is to jump to drastic conclusions. We are quick to assume he is doing evil. And that always, always leads to arguments and contention! Here’s an honest tip: If you keep bashing your husband and accusing him of evil he hasn’t done, he may just grow frustrated enough to actually do those things. But what if he is doing evil? What if he is lusting after other women? That’s a sticky topic and would definitely depend on the indidvudal situation. But for most wives, the best route is to pray and seek help from someone you trust. Your pastor. A Christian counsellor. A loving parent who walks with God. Those are your top best choices. However, we’re talking about assuming the worst before you know actual facts. Take the safe route and believe, trust, love and listen your husband. That’s how you desire him to treat you, right? We turn away affection. When we get frustrated, we often resort to the “ice queen” that’s buried inside of us. You know. The woman you become when you want your emotions to die. We’ve been hurt and this is our defense mechanism. We choose to “freeze” our emotions and turn away our husband when he comes home and greets us with a kiss. We pull away from his arm that slips around our waist or we turn our cheek when he leans over to plant a kiss on our cheek. Even if you’re hurt or angry, don’t push away his display of affection. Pushing him away is the fastest route to creating an angrier, more frustrated husband. He won’t keep coming back. He won’t apologize for any wrongs. He’ll just be mad and move his heart away from you. Unless you want to add more heartache to your marriage, avoid turning away his affection. Ask God to help you be warm, gentle, kind and affectionate. Those are powerful tools to bring your marriage back to where you want it to be. not freezing your emotions. We stop communicating. Ahhh….the silent treatment. Wives have been trying this marriage tactic for years, only to see destructive results. Yet, we continue to do it. Most of the time we’re hurt first. Then that hurt turns into anger. Then the anger turns into silence. We choose to ignore him when he walks past us. After the kids go to bed we watch a movie or call a friend. After that, we climb under the covers, turn off the light and refuse to acknowledge the man sleeping beside us. A husband who feels unappreciated. A husband that has no idea how to fix the marriage. A husband that dreads coming home to a silent, unaffectionate, and even angry wife. She smiles at other people and even laughs at their jokes. He gets the look of disdain. He gets the cold shoulder. And doing that to another person is extremely disrespectful. And respect is something your husband craves, needs and desires. When all of this happens, the marriage that the wife longs and wishes for crumbles at her feet. Many times she’s confused why their relationship never grew better. Or why she wants to leave. For the sake of your children’s future, avoid these common mistakes at all cost. Undoubtedly, every wife who reads this post has made at least one of these. But you — ahem WE — can stop this vicious cycle today by choosing to be different. Choosing to love our husbands with a sacrificial, powerful love. Even if everyone else tells us we’re a “doormat” we can know and enjoy the blessing of a marriage where the husband/wife relationship is still spicy, loving, affectionate and friendly. It doesn’t just happen in made-up fairy tales. It’s real life for some of us. 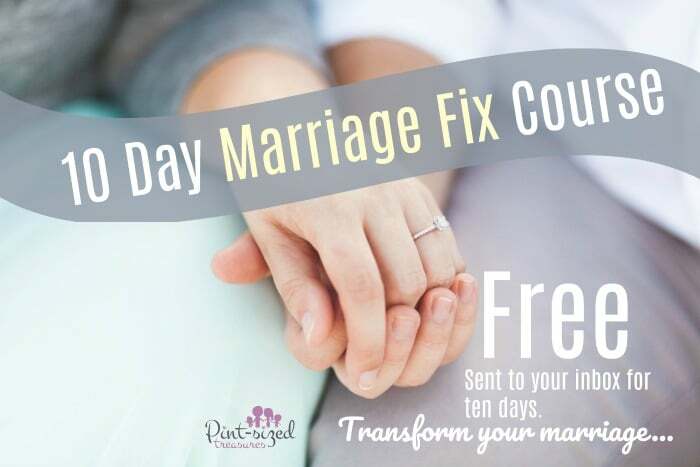 Join our 10 Day Marriage Fix course! It’s free!